VW spent $204 million in U.S. measured media last year, 19 percent higher than 2007, according to TNS Media Intelligence. 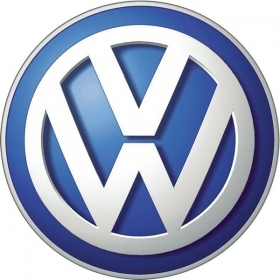 CHATTANOOGA, Tenn. -- Conceding that some of its U.S. suppliers may be too financially troubled to build their own parts plants, Volkswagen AG is seeking help from an unlikely source: real estate investors. VW said it is asking private developers to build and own suppliers factories that would serve the automakers new U.S. assembly plant here. Tom Loafman, purchasing director for Volkswagen Group of America, said the plan would help suppliers reduce their upfront investment. Developers would build parts factories to order and lease them to suppliers, he said. Loafman said he is talking to suppliers and private investors around the South. VW remains flexible about structuring the financial arrangements, he added. Nelson Bowers, a Volkswagen, Toyota and Kia dealer in Chattanooga, said he plans to take part in the effort. VW wants a supplier park on a 1,000-acre parcel that the city of Chattanooga is making available next to the site of the new auto plant. The company seeks 80 percent local content for the mid-sized sedan the plant is scheduled to start producing in 2011. The new sedan will share half its parts with the next-generation Jetta to be built at VWs plant in Puebla, Mexico, Loafman said. Scott Cooper, an economic development specialist with the Chattanooga Chamber of Commerce, is working with Volkswagen suppliers. Many of them, he said, face cash flow problems. VW has named only a few of its U.S. suppliers to the new plant. Last month, VW awarded M-Tek Inc., of Manchester, Tenn., a $147 million contract for door components. M-Tek has not decided whether it will build a dedicated facility at the Chattanooga site.